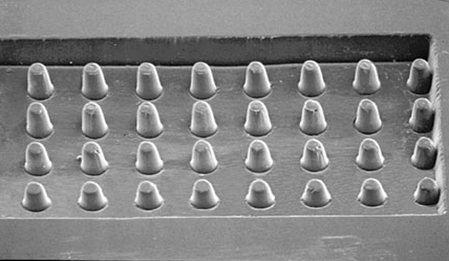 Laser micro-machining consists in machining the surface of a part in successive layers in order to achieve complex geometries with accuracy of about a micrometre. Such machining may be blind or piercing and may be local or take the form of a pattern on a surface. The technique is used to make microchips, micro-mechanisms, sensors, permanent lubrication parts etc. 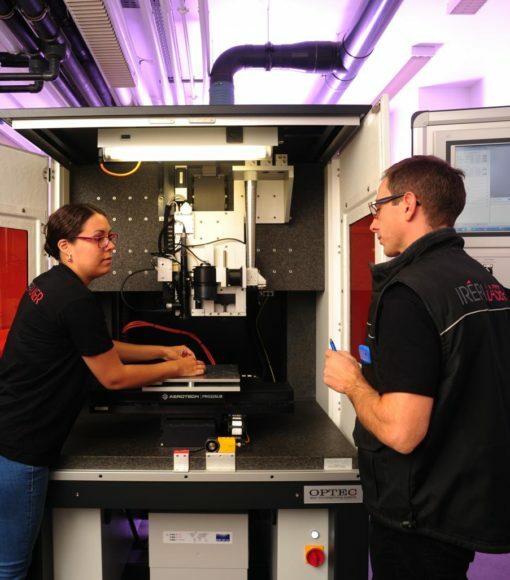 3D laser micro-machining is a process that is making rapid advances, allowing the production, functionalisation and improvement of small parts without altering or damaging the materials. For example, the technique is used to engrave moulds, or modify textures on delicate materials. What is laser micro-machining ? 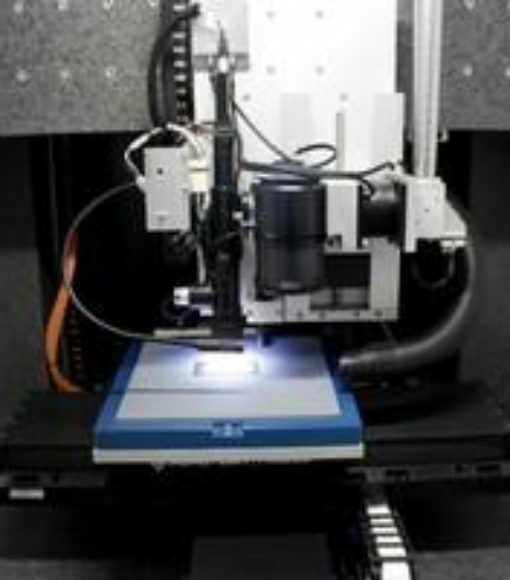 Laser micro-machining is an innovative technique that makes it possible to increase the potential and functionality of products and parts by modifying their surfaces. By machining patterns on the surface, on different scales, surfaces can be given a new function (aesthetic, physical, optical, sensory etc.). This method is applied in many areas such as aeronautics, nuclear power, automobile manufacturing, medical engineering, defence and general industry. It has proven its effectiveness, particularly for engraving or texturing surfaces in areas such as car manufacturing and watchmaking. Laser micro-machining consists in removing material successively from the surface, in order to reproduce 3D patterns on surfaces. This technique makes it possible to avoid the thermal effects by using new lasers that require short interaction times and have varied wavelengths. Accuracy is <10µm for X-Y and <0.5µm for Z. Using the laser micro-machining technique enables you to benefit from many advantages. Among other things, micro-machining makes it possible to achieve highly accurate surface machining and engraving. It provides great flexibility in the designing of patterns and helps increase speed. Indeed, the quality obtained by micro-machining often does away with the need for post-treatment stages. Thanks to this contactless 3D technique, you can treat all materials with no alteration of their appearance and chemical properties, whether they are hard or fragile, opaque or transparent to the wavelengths used. Do you want to use the expertise of IREPA LASER in the area of laser micro-machining? Thanks to a leading-edge machine base and equipment (nano, pico, femto lasers, dedicated machines, 3D optical microscopes etc. ), IREPA LASER can support you in the development and production of parts. Do you want to know more about 3D micro-machining? Follow a course given by IREPA LASER. Do you want to know more about laser micro-machining? With over 30 years' experience, IREPA LASER is the partner you need to find suitable training. Learn to machine the most difficult materials, get the keys for developing your laser project. Are you a novice in the field? Follow a course in industrial lasers dedicated to beginners, who need to be sure they know the basics.